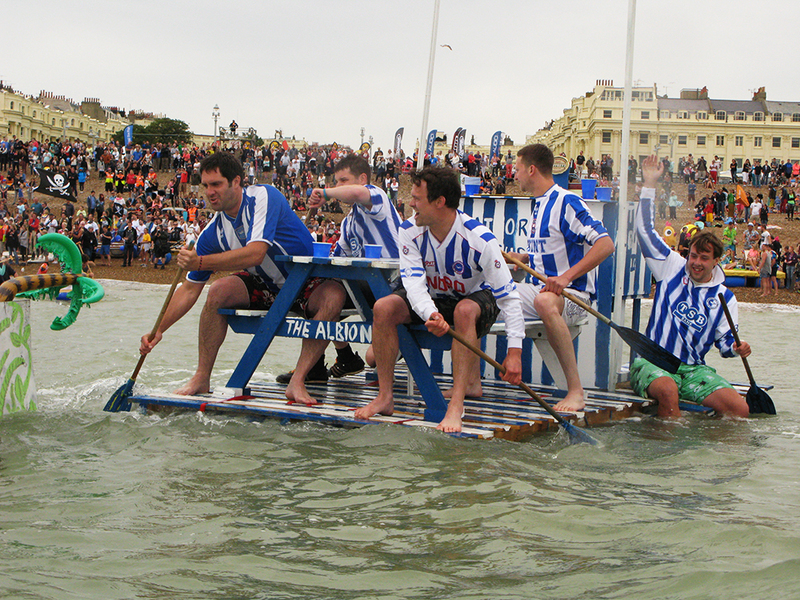 Come see us at the brilliant Paddle Round The Pier this July, the third year for us. Paddle Round the Pier (or ‘Paddle’ as we like to call it) is the world’s biggest FREE beach and watersports festival, and is a big charity event on Hove lawns which started in 1996 when 50 people turned up. It’s grown a bit since then – last year there were 55,000! Paddle has donated over £200,000 to charity over the years. There are lots of events for all the family over two days, including the original Paddle Something Unusual in the sea – from aeroplanes to cranes, from a bed to a shed: it has to be as ridiculous (but safe) as possible and in aid of charity – to an actual paddle round the pier on surfboards, to SUP races, swimming as well as beach sports, dance and dog shows, and much more. We’ll be there both days with a good selection of our furniture and gifts in the Paddle village alongside lots of other exhibitors, 3 music stages and lots of yummy food carts. Last but not least a big thank you to Delightfully Lavish for their stunning marquees which help to make our furniture look gorgeous on the seafront! So come pay us a visit and enjoy the fun!